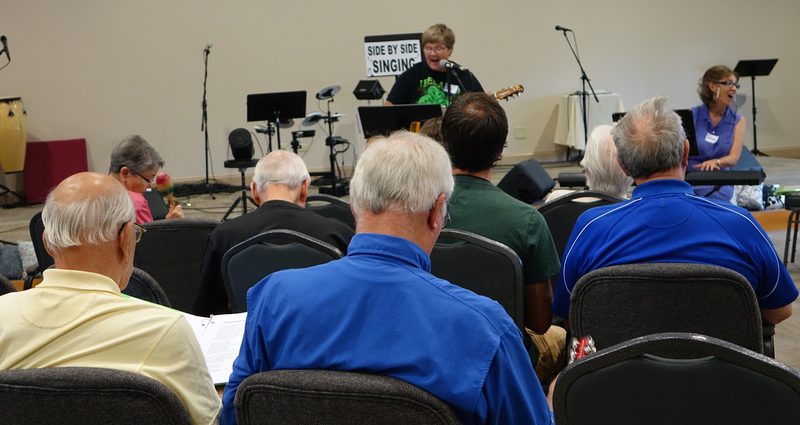 That is one of the new songs we have added to the Side by Side Singing songbook this week. Since all of us attending Side by Side LIVE in North Carolina, we figured it was a safe bet to be a favorite — and it IS! We also added “Dream A Little Dream of Me.” Of course we didn’t forget our favorites — Blue Moon (since there IS a ‘blue moon’ this week) and “I’m Looking Over A Four Leaf Clover” were as enjoyable as ever. We hope you will come sing with us this summer. Wednesday afternoons at 1:30 through August 26th you will find us at the Biltmore United Methodist Church, on Highway 25. 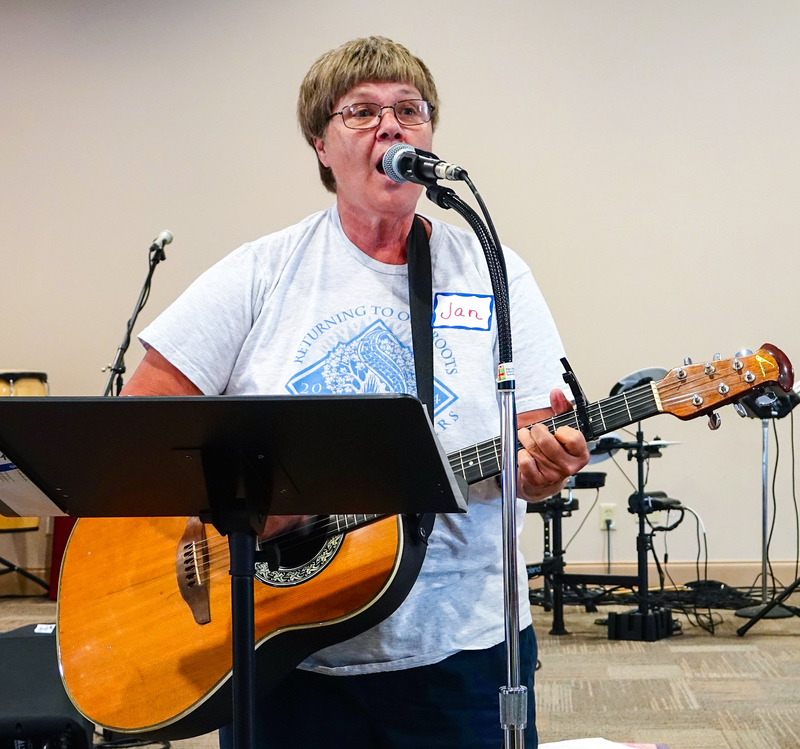 Song leaders Debbie Nordeen, Ruthie Rosauer and Jan Mallindine will be happy to to see you. All sessions are FREE. You need not be an experienced singer to fully participate. 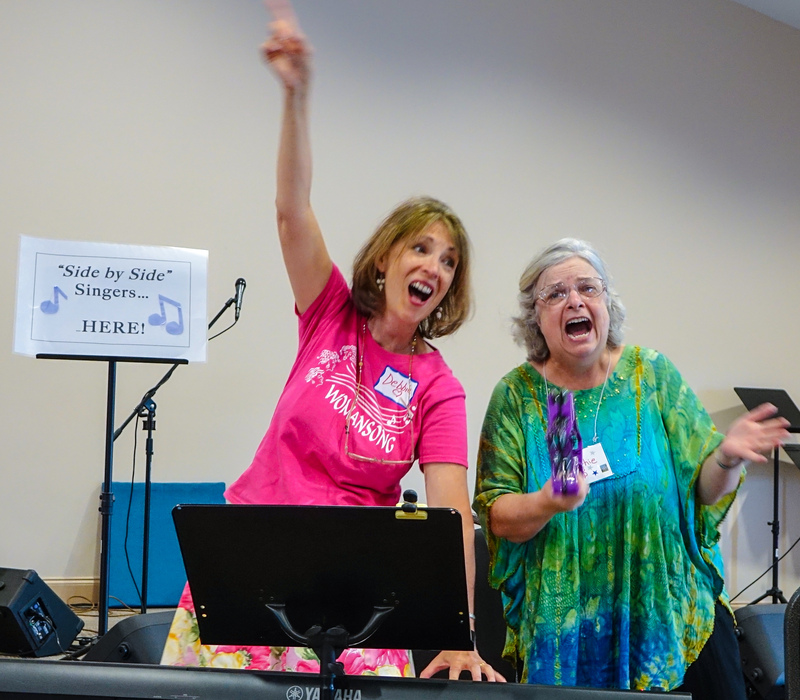 The rhythm instruments were out and faces were smiling at Side by Side Singing yesterday at the Biltmore United Methodist Church in Asheville. 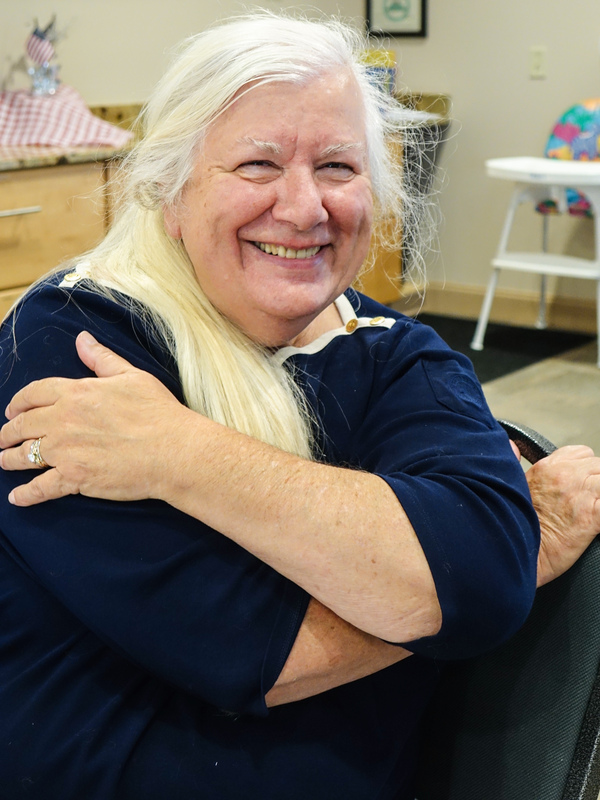 Sessions are on Wednesdays, at 1:30, and continue through Wednesday August 26th. If you haven’t already sung with us and you are curious about it — here’s video we posted on YouTube that shows some clips of sessions. OR, better yet, why not join us next Wednesday! All sessions are free. You need not be an experienced singer to fully participate! 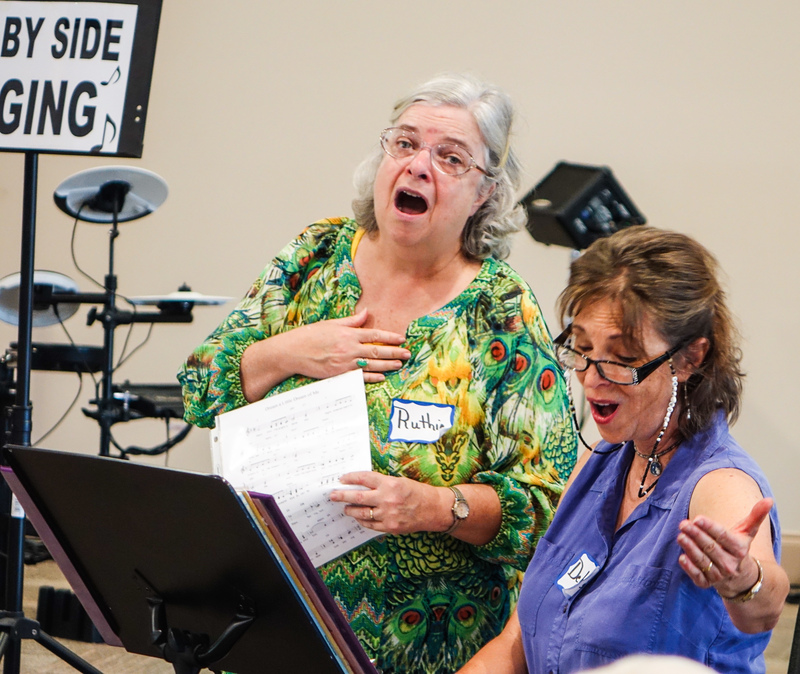 Fifty singers took a “Sentimental Journey” through song at Biltmore United Methodist Church’s Community Events Center on July 15. We sang “This Land is Your Land,” “America the Beautiful,” “Take Me Out to the Ballgame,” and “This Little Light of Mine” with great gusto!!!! One hour goes by so quickly when you are enjoying yourself so much doing one of your favorite things! 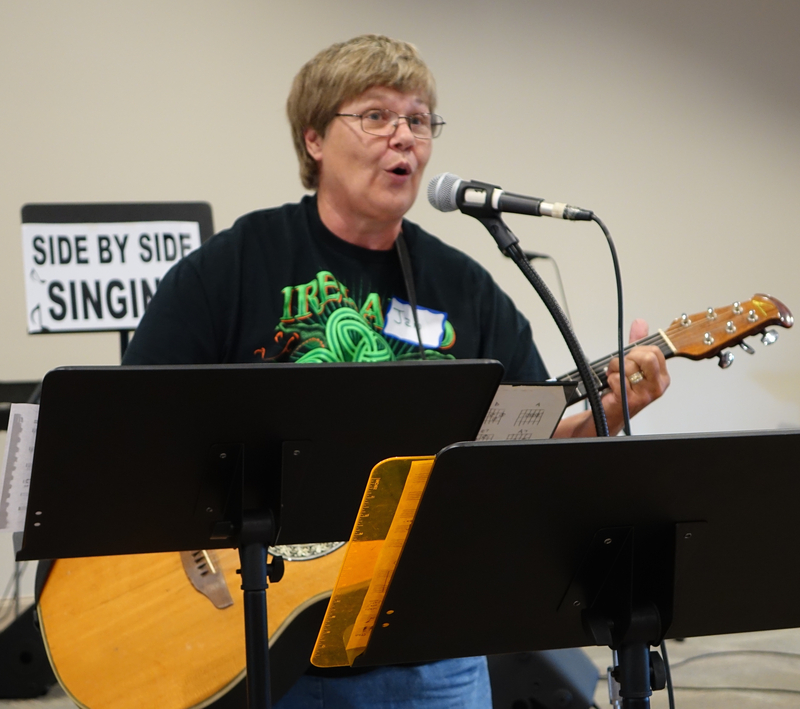 As always we sang “Side by Side” and concluded with “Happy Trails.” Jan Mallindine played the guitar. Ruthie Rosauer and Debbie Nordeen switched off on the piano. We continue for six more weeks at 376 Hendersonville Rd. in Asheville, NC (July 22, 29, August 5, 12, 19, and 26). We start at 1:30pm, sing for an hour, and then break for light refreshments. All sessions are free! [For more detailed information on how to find our location see the tab “how to find us.”] We hope you will join us! 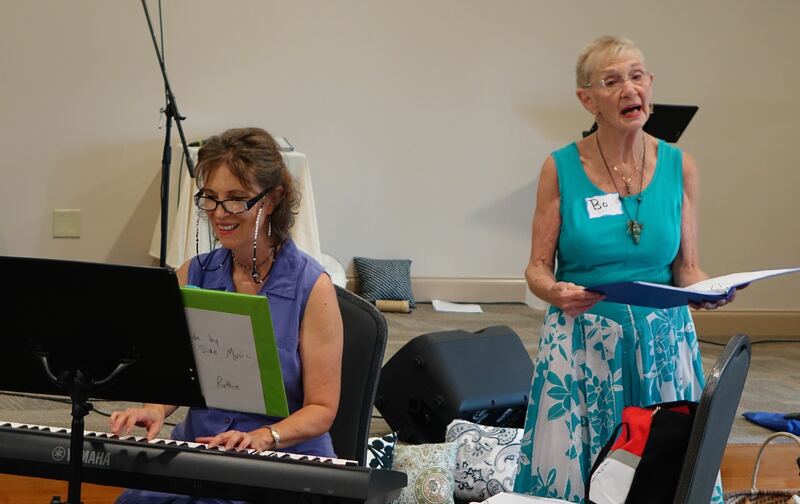 Debbie Nordeen (left) and Ruthie Rosauer as song leaders.